Death Augmenter (500) – Orcs killed by traps and guardians earn 66% more coins. Guardian Armor (1500) (requires Death Augmenter) – Guardians have increased health and will regenerate any damage they take. Tempered Blades (1000) (requires Guardian Armor) – Paladin attacks stun enemies. Burning Pitch (1000) (requires Guardian Armor) – Elves gain flame arrows and generate more combos. Oiled Trap Gears (1500) (requires Death Augmenter) – All timed traps reset 20% faster. Jagged Steel (1000) (requires Death Augmenter) – Piercing and cutting traps add a bleed effect for 50% of the damage they deal. Overcoiled Springs (1000) (requires Death Augmenter) – All physics traps are stronger and also affect ogres. Enchanted Weapons (1200) – Gain flame crossbow and holy sword. 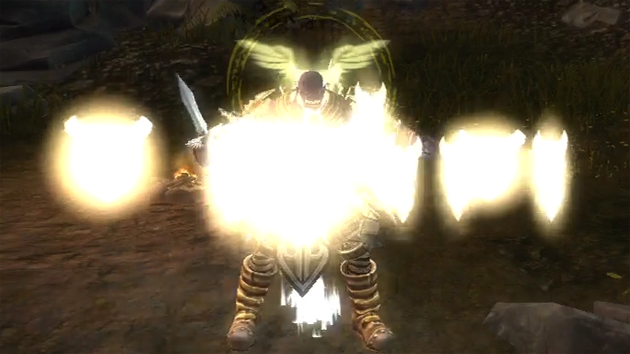 Blinding Stun (800) (requires Enchanted Weapons) – Improved crossbow stun area and duration. Adrenaline Rush (800) (requires Enchanted Weapons) – Player health doubled; after melee kills the player gains 30% extra speed. Mana Conservation (1200) – Spell primary costs are cheaper by 30%. Icy Winds (500) (requires Mana Conservation) – Frost effects +33% duration; wind belt 33% increased force. Firestorm (800) (requires Mana Conservation) – Fireball DOT effect +50%; lightning bolt hits one extra target. Charged Weapons (1900) (requires EVERYTHING) – Crossbow and bladestaff kills grant 5% of the mana bar. Fleet of Foot (800) – Player runs 20% faster. Friends in Need (1000) (requires Fleet of Foot) – Nearby guardians regenerate the player’s health. Skull Anatomy (800) – Headshots deal 25% increased damage and headshot kills increase accuracy. 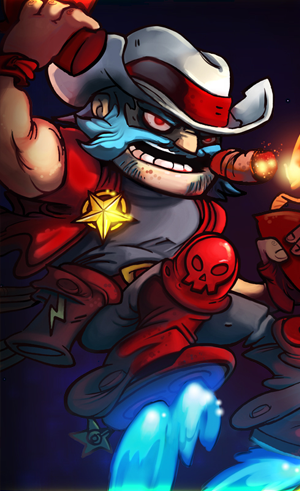 Spell Magnification (1000) (requires Skull Anatomy) – Spell kills earn 100% more coins. Trap Linkage (1400) (requires Fleet of Foot or Skull Anatomy) – Trap kills generate 5% of the player’s mana. Zombie Orcs (1200) (requires Friends in Need or Trap Linkage) – Dead orcs sometimes rise from death to fight for the player. Rift Sentience (1200) (requires Spell Magnification or Trap Linkage) -Rifts gain a defensive lightning strike ability.